Robin assists clients with subrogation and civil litigation matters including contract disputes, arbitrations and mediations, construction defect cases, condominium complexes, bodily injury claims, and product liability cases. Robin has over 30 years of insurance defense and subrogation experience in the areas of automobile accidents, premises liability, products liability, construction defects, defamation, assault and battery, governmental trespass and liability, real estate and coverage. Robin has defended and prosecuted complex construction defect cases, general civil litigation matters involving construction issues including mechanics’ liens, foreclosure and breach of contract actions, and enforcement of judgments. 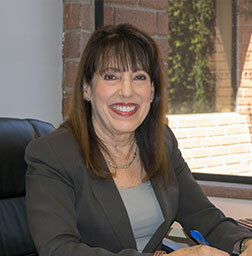 Robin has expertise handling complex, multi-party litigation matters through binding arbitration, mediation and trial; has taken and defended numerous expert depositions in a multitude of areas including (but not limited to) medical, construction, engineering, architectural, accounting, and accident reconstruction. She has extensive jury and non-jury trial experience. Robin attended UCLA obtaining a Bachelor of Arts degree in psychology. She earned a certificate in litigation from the UCLA Attorney Assistant Training Program. Thereafter, she obtained her juris doctor degree from Pepperdine University School of Law, where she was a member of Phi Alpha Delta and participated in the ATLA National Student Advocacy Competition.